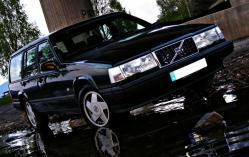 1998 Volvo 940 Turbo (98 is last model 940 in Europe and 95 is last model in US)170bhp B230FK Turbo. Rims: Ocean MK18. lowered 60mm. Was my pride and joy but i had to sell becaus i lost my job and had no money to keep it.